Do you need forklift certification in Oregon? If you’re a worker that operates forklifts or an employer that hires forklift operators, the answer is simple: yes! The U.S. Occupational Safety and Health Administration (OSHA) requires that all employers in Oregon ( and all states) provide their employees with forklift training. But, most companies don’t have the in-house expertise to handle training. Once you acquire your forklift certification in Oregon, you have a passport to the rest of the United States for the rest of your working life. Being trained, certified and able to operate a powered industrial truck is one of those skills that translates easily from one locale to another. Whether you’re an employee or employer in the Pacific Northwest, forklift certification in Oregon is mandatory. But it doesn’t have to expensive or stressful. Thanks to CertifyMe.net, all of your Oregon forklift certification requirements are accounted for! Why Get Forklift Certification in Oregon? Oregon is, quite simply, a wonderful place to live. It is lush, green and laid back. Native Oregonians consider it superior to California. Much of civilized Oregon is determined by the position of the mountain ranges and the layout of the interstate highways. I-5 is a beautiful drive up the western side of the state about 50 miles inland from the Pacific Ocean. I-84 marks the boundary between Oregon and Washington, cutting out the extreme northwest corner of the state to meet Oregon’s eastern border at Idaho. If you wish to live and work in Oregon, one of the fastest ways to start a new career is to get forklift training and receive your Oregon forklift certification. Employers are looking for job applicants with this credential because it proves that you take your job seriously, and that you are able to operate forklifts safely. Employers need well-trained employees. Sign up with CertifyMe.net and get on the fast track to a great career! 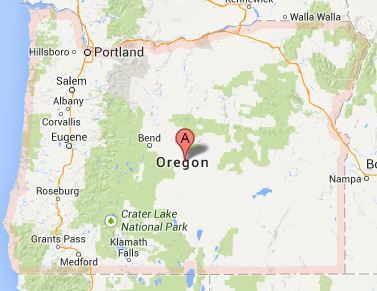 You can find forklift jobs throughout the state of Oregon. By far the biggest city, with lots of employment opportunities for people with forklift certification in Oregon, is Portland (population over 500,000), which is, ironically, not the state capital. That accolade goes to Salem. Other major cities include Eugene, Gresham, Hillsboro) and Beaverton. The total population of Oregon is just under 4 million, with a highly enviable population density of 40 per square mile. According to the U.S. Department of Labor, agriculture is a big employer for people with forklift certification Oregon. Forklift operators have cataclysmic flooding during the last age to thank for the fertility of the Willamette Valley and, hence, jobs. Nuts, wines, wheat and cranberries are among the state’s major agricultural products. All of these industries need qualified forklift drivers. Get your forklift certification in Oregon today! Why Choose CertifyMe.net for Oregon Forklift Certification? What makes us the best option for obtaining a forklift license and certifying your workplace with forklift certification Oregon? To put it simply, we make it easy, fast, and convenient to be compliant with all OSHA regulations and receive all the information you need to operate forklifts properly. According to OSHA, employers must make sure all forklift operators are competent to operate forklifts through the completion of training and an evaluation. As an employer, you probably want the fastest and most affordable Oregon forklift certification program to get all of your employees certified, quick. At CertifyMe.net we’ve designed our online program to cut out the convenience and costs associated with other programs, like in-person instruction and travel. From home, work, or anywhere with an internet connection, employees can complete forklift certification in Oregon and receive their certificate in only one hour. Your workplace will be 100% OSHA-compliant and your operators will have the knowledge and skills they need to operate forklifts safely and most efficiently. Create an account and receive your Oregon forklift certification today with CertifyMe.net! Thanks for considering CertifyMe.net for your forklift certification in Oregon. We look forward to working with you today!